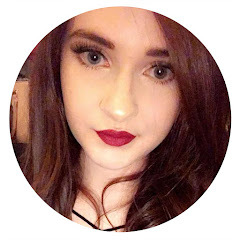 I came across this tag on Hayley's blog, and i thought it was a really unique way for you to learn some things about me and i thought it looked quite fun to do so i decided to have ago myself. 1. Got trapped in a toilet cubicle whilst on a night out. 2. Trapped my little finger in the boot of my nan's car, after my cousin and sister shut it (not on purpose) - i screamed so loud my mum thought id been run over. 3. Jury Service (2 Months of it!). 8. Been inside the Vogue House Offices in London. 10. Dyed my hair bright red! 11. Sang on the Philharmonic Hall in Liverpool - i was in year 6 and my school participated in some choir show there. 15. Tripped my sister up with an Umbrella when i was 7, i genuinely thought she'd see it and jump over - she didn't, instead she fell flat on her face and broke her nose. She still hasn't quite forgiven me. 16. Had my tonsils taken out. 17. Watched the X-Factor Auditions live, three times. 19. Met Bill Nighy when i was in London, well he walked past and waved when we shouted so it still counts! 22. Sang on my own on a stage in front of people. 24. Apparently, had a fight in my sleep and head butted the wall. 25. Had an operation to remove an extra tooth, that was growing the wrong way. 31. Got my Monroe pierced. 33. Watched every single episode of F.R.I.E.N.D.S - multiple times. 34. Had one of the worst years of my life in 2011. 37. Woke my mum up in the middle of the night when i was younger to watch Disney Films with me when i couldn't sleep - apparently this went on for a year. 38. Slept walked whilst staying at a friend's Nan's house and tried to steal her Nan's juice. 39. Had my belly button pierced when i was 13/14, needless to say it fell out a few months later and i lost the bar on the beach when i was on holiday. 44. Had guitar lessons in primary school. 45. Started a beauty blog. 46. Filmed videos for youtube channel but cringed at myself that much i deleted them instantly. 48. Watched a film at the Cinema and then sneaked into another screen straight after. 50. Had a bomb scare whilst at college, it was on the news and everything! I tag everyone to do this! I had a lot of fun writing this up, although it did take me a while to think of 50 things - please leave the link below if you decide to do it as i would love to read your 50 things! I love it! Number 18 is my favourite - I once woke up surrounded by chocolate wrappers - I'd eaten half a box in my sleep. Worrying! I thought it was weird, but i liked it at the same time haha! What a wonderful and interesting post to read :) The Disney one with your mum is ever so cute! Haha, she didnt quite appreciate me waking her up to watch them haha! Aw, thank you! I know - i didnt even realise it was there until i was making my bed the next morning? I'd love to know how? !